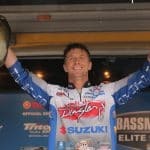 Chad Pipkens of Lansing, Mich., takes the lead on the first day of the Bassmaster Elite at Mississippi River presented by Go RVing, bringing 17 pounds, 15 ounces to the scales on Thursday. 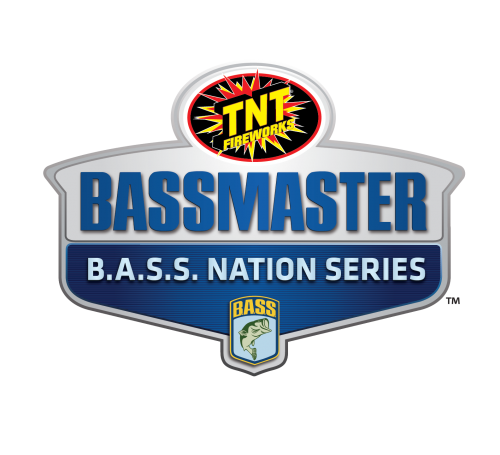 LA CROSSE, Wis. — Nonstop soaking rain, increasing river levels and heavy limits of big smallmouth and largemouth bass were of hot discussion after Thursday’s opening round of competition at the 2018 Bassmaster Elite at Mississippi River presented by Go RVing. 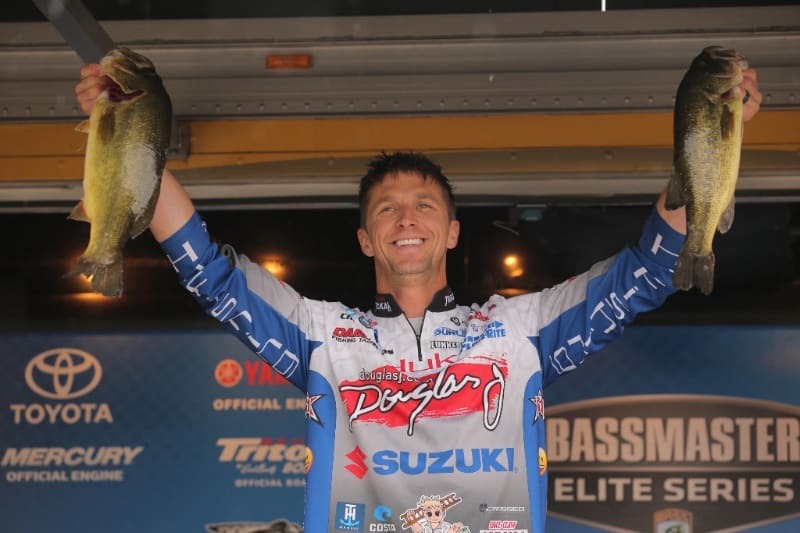 Thirty-four-year-old pro Chad Pipkens of Lansing, Mich., took control of the top spot after an impressive five-bass limit that weighed 17 pounds, 15 ounces. 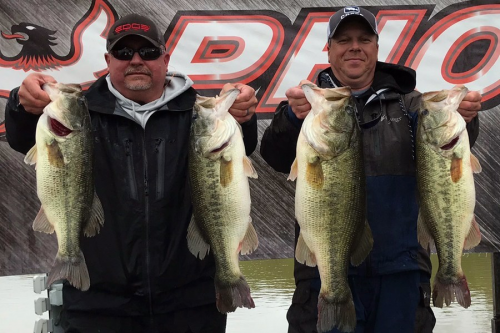 The derby pays $100,000 to the top-scoring angler, and the dandy 5-8 largemouth has Pipkens also in charge of the Phoenix Boats Big Bass award. That fish could earn him an extra $1,500 once the event wraps up. The Upper Mississippi is expected to be at 12 foot high by Sunday. Twelve feet is considered flood stage, which will certainly change the fishing from day to day. The spot Pipkens was fishing proved to hold the right size of fish to help him take the lead, but he learned more about it as the day went on. 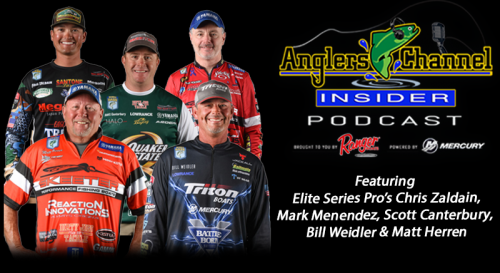 Like every other angler, how the increasing river levels will impact the bite is a pretty big mystery. In a tie for second place, Cliff Pace of Petal, Miss., and Jacob Powroznik of North Prince George, Va., each weighed a five-bass limit of 16-14. Pace weighed a mixed bag of both small- and largemouth bass, which is very typical on this fishery. As most anglers do, Pace kept his cards pretty close to the vest, not willing to reveal much about the techniques he was using to catch his fish. Powroznik agrees that how the river will fish in coming days is largely unknown. Rounding out the Top 5 are Dave Lefebre with 16-9, and Casey Ashley and Gerald Spohrer tied for fifth with 16-7. Take off will occur at Veterans Freedom Park at 6 a.m. CT, and weigh-in will begin at 3 p.m. at the same location again on Friday. The weigh-in will move for Saturday and Sunday to Valley View Mall on Clinton Street in La Crosse.